Dave: My name is Dave Denniston. And welcome back to the latest episode of the Freedom Formula for Physicians Podcast. Well, my friends, you might be sitting there, it’s almost tax time. Maybe some of you have already gotten it done. And you might be wondering, “How the heck can I be pay less in taxes this year?” Well, if you’ve been grappling with this question or if you’re just simply curious about taxes, you’re going to love our guest. Well, our next guest expertise that in the area of tax planning. So his goal, he wants to make sure doctors like you all across the states are paying the least amount of taxes that they can legally pay. He is a certified tax coach. He is a CPA. He is a business owner. And he is a former NYC police officer with 17 years of experience on the force. And now, today, he’s a certified tax coach. He belongs to a select group of tax practitioners throughout the country who go through all kinds of training and techniques and strategies to be certified, of course. And on top of that, he has authored an Amazon bestseller book, Secrets of a Tax Free Life. As a matter of fact, I ran across him because he was recommended by a listener of our podcast here. So I know we’re going to learn a lot from him today. Please help me welcome Craig Cody. Welcome, Craig. Craig: Dave, thank you very much for having me. Dave: Hey, it’s my honor, my friend. Well, first I would love for you to let us know, our listeners a bit about you and get familiar with you. So tell us about your and your journey a little bit, Craig, and give us a thumbnail sketch of how you got to your start in accounting. I mentioned you were a New York City police officer at one point. Craig: Yes, I was a New York City police officer for 17 years. I followed in my Dad’s footsteps. I retired in 2000 as a lieutenant of police. And I was really—it was time for me to move on and do something different. I was always into taxes, so I’d gone back to school towards the end. And I got my degree. I went to work for a firm, kind of went through the motions there to get my experience, became licensed, worked for another couple of years and then went out. I got about… Eight years ago, I started my firm. And at first, it was a typical accounting firm. And then we were hit with the typical economy in 2007, 2008, and we needed to change something up. I always loved tax planning, which in the old days, that was kind of done estate planning. And we started looking at what we saved clients during estate planning and thinking we could do the same thing with tax planning, and that’s kind of what—where we are today. What we do is we show people how to keep more of what they make. Dave: Well, I think of taxes, and one of the frustrations that I’ve had with a lot of the CPAs is that they prepare the taxes, but they truly aren’t involved in proactive planning. So I’d love to hear from you, what do you see as a difference between being counter and someone that is proactive? How can someone know that ahead of time? Craig: Well, one way is I ask people, “When was the last time your accountant or your CPA came to you with an idea of how to lower taxes?” And typically, I get that glazed over look, and it’s, “Never.” Most CPAs are very good at putting the right numbers in the right boxes, recording history, but they don’t help you make history. And what we do is we help our clients make history. Dave: What do you think that should look like then? I mean, should that be meeting twice a year then? Three times a year? Four times a year? What should someone expect from a proactive CPA? Craig: Very, very good question. It really comes down to communication. You need to communicate on a regular basis with your CPA because they’ll… As a CPA once said to me, “The doctor doesn’t cool you up and ask you why you’re sick.” So your clients, they can’t expect you to know everything, so you need to communicate with them. And when you communicate, things come up and people talk about things they’re looking to do, and you’re able to then steer them in the right direction to do it in the most tax efficient way. Dave: Well, it sounds good to me. Well, it sounds like as people meet with the tax preparer or a CPA, they should really be thinking about… Meeting once a year probably isn’t enough. Right? Craig: No. No. I mean, that’s not nearly enough. And we get a lot of clients, they’ll come to us and they’ll want to work with us this time of year. And we explain to them that if you’re going to work with us, you need to work with us throughout the year because you’re doing yourself and us a disservice if—excuse me—if you only work with them during tax season or at the end of the year when the typical tax planning is, figure out how much money you’re going to owe and say, “Okay. You need to make this payment.” That’s what most accountants think, is tax planning, looking in the rearview mirror. 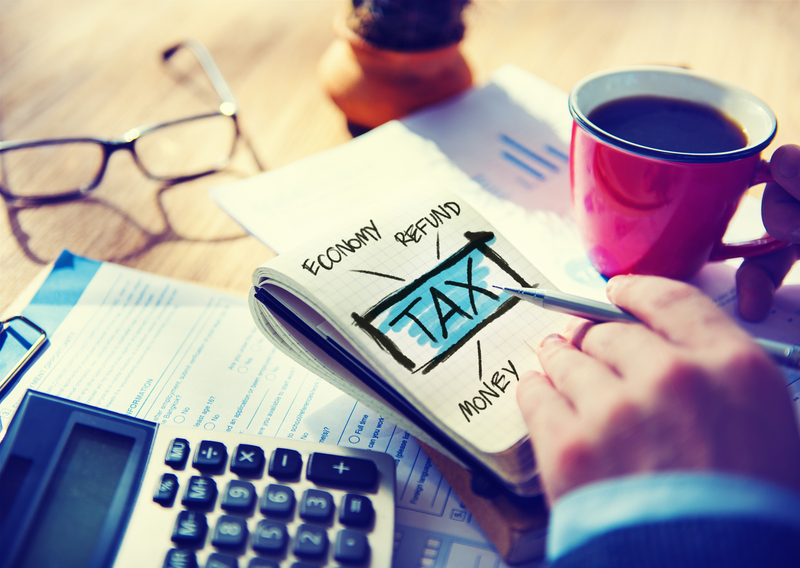 I like to look forward and see what we can do and how to minimize your tax bill. Dave: Well, perfect. I think this is a great segue. Now, in this podcast, we’re all about helping doctors, slash, their taxes, slash, their debt and live a liberated lifestyle. And, well, we’ve focused on this topic a lot. And we’ve talked about… And I kind of call it skimming the cream off. We’ve talked a lot about side hustles and locums income, S corporations and LLCs… But Craig, for you today, I’d really love to dig into your depth of knowledge. And let’s go over some unusual deductions that folks may not be aware of. So I have a few notes of some stuff that I thought might be good to go over, but I’d love to hear from you. Since we’ve covered some of the basics here in the past, let’s really dig into some good stuff people should be aware of, whether they’re W2 or they’re paid 1099 or however they get paid by a cash truck or railway. What do you think, Craig? 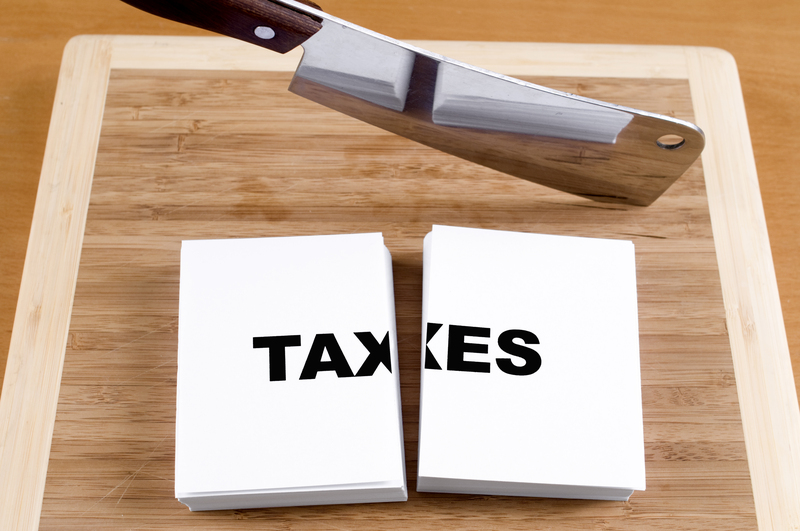 What are some good ways that folks may not be aware of of ways to slash their taxes? Craig: Well, not all strategies work with every type of entity. So most of the strategies do not work with a plain vanilla W2 person. But let’s talk about a medical expense reimbursement plan. A medical expense reimbursement plan allows you to hire your spouse. And the reasonable compensation that you are paying your spouse is basically a medical expense reimbursement plan, so there’s no 1099s or W2s to provide that person with. And then you get to deduct your spouse and her family or—I’m using the word “her”—and their family their medical costs. So that may be braces for your kids. That maybe cosmetic dentistry. That can be eyeglasses, contacts, anything that’s out of pocket and it’s typically going to be an excess of what you’ve already taken in your HSA. Dave: So there’s a few things that I think are interesting here that we should probably dive into a little bit further. So I think this is great. Now, first of all, can you help us understand? What is a reasonable wage? Right? That sounds awfully subjective. What is that all about? Craig: It is a very subjective task. Okay? And you could go on to IRS website and you could download information from them. And you can see that the average wage for something might be $22,000. And you say to yourself, “That’s crazy.” But that is one very inexpensive way to see what reasonable compensation is. And typically, when I do reasonable compensation, I’ll take a multiple of that number. And I’ll have it in a file and say, “Now, this is what the average is.” So we may have taken three times the average or five times the average. When it comes to a medical expense reimbursement plan, it has to be… If you have a spouse and they’re doing your bookkeeping and maybe some filing and you have $100,000 worth of medical expenses, I think that’s going to be a little bit hard to justify. Craig: Maybe cosmetic dentistry, braces, and stuff like that at $25,000, maybe that makes a lot more sense. Dave: Tell me more about this medical reimbursement. You did say that this is an addition to the HSA, the health savings account. Is that right? Craig: Correct. So it’s only—it’s not available to S corporations. Well, it’s not available to 99 percent of S corporations. Let’s put it that way. It’s a section 105 plan. It’s a very simple document. And it allows you to write off all of your out of pocket medical expenses or reimburse the person that’s providing the services for you, for them and their families’ out of pocket medical expenses. Dave: So it’s not available for S corps, but it is available for LLCs? Dave: So perhaps… I can imagine there’s a physician listening out there that does locums where they’re getting paid by a 1099 as an independent contractor as they go from hospital to hospital. How do you think could someone that does that end up paying their spouse $5,000, $10,000 as a way to…as a reasonable way to help in keeping track of the books, for exam—? Craig: Yeah, that is a very reasonable way for that type of work. And then basically, they’re not getting a paycheck. What they’re doing is they’re getting their medical expense reimbursed. Dave: Interesting. So it’s not… They don’t get paid to be—to income? Dave: Now, here’s something else that I heard about that I’d love to get your feedback on. So there’s a great idea for having a spouse if you’re doing locums or something like that. What about hiring kids? I’ve heard about that as a strategy. So I’d love to hear more about hiring kids as employees. Craig: That’s a—it’s a great strategy. When my kids were younger, went to private high school, that’s how we paid for high school. So they worked for me on a weekend. They had a timesheet that they had to fill out that they got paid into their bank account, and the school drafted their bank account once a month and took the money out. So I basically wound up getting a tax deduction for their tuition. You have to document it. There’s actually [Indiscernible 0:11:43] that says you could do it with kids as young as seven. I typically say, “Let’s do 12 years and older.” Pigs get slaughtered. I don’t think anybody is looking to go to tax court. And seven is a pretty young age. Dave: So is there, like, an amount on what you can pay your kids and how it’ll be tax free? Or what does that look like? Craig: Once again, it comes down to reasonable compensation. You have to be able to… Under audit, you’d have to be able to justify what that compensation is. So if it’s $10 or $12 an hour versus $50 an hour, I think one is much easier to justify than the other. Dave: So if… Isn’t there, like, some sort of law. And maybe I’m misremembering this, that if you pay your kids above $6,000, $7,000, $8,000, $9,000, $10,000 that then it goes to the parents’ tax bracket? Craig: Well, that’s unearned income. This is earned income. And typically, you’re not going to pay the child much above $6,000 to $10,000. Okay. At least a younger child. So if you have three kids and you’re paying them $6,000 a year and they’re going to summer camp or they’re going to a private school or something like that, you are able to offset and pay that with basically tax deductible dollars. Dave: Sure. Sure. And they could bank it too. Right? They don’t have to spend it. Craig: Well, they don’t have to spend it, but obviously, if you are using it to pay for the school, you want it to go into their bank account, and then you want the school to take the money out. And then if you want to give them money later because you want to give them money, there’s nothing that says you can’t do that. Dave: So the answer is paying kids could absolutely be a great strategy to get tax free money to the kids that you don’t have to pay FICA taxes on. Craig: Correct. Correct. So it is a very interesting way. Another thing, most people have home offices. So if you have a home office, you can also have a home athletic facility. That’s for the use of your—the people that work for you at that home office. So let’s just say your athletic facility happens to be a pool. Now, you can write off the expenses on the pool. You can depreciate the value of that pool. And that’s in the tax code. Dave: So I guess documentation of course and recording is a big deal in all of this. What about, like… We talk about, from time to time, the physician having a side hustle of some sort or a spouse starting a side hustle as, if someone’s earning a W2 wages, as a way to kind of offset some of that if they’re trying to get a business off the ground, but I know there’s kind of hobby rules about that. One physician asking me the other day, “Well, is it really worth it to go through that hassle?” What do you think? Craig: Well, you should be in business to make money. So the hobby rules typically come around what people are taking losses from year to year. Then the government is going to say, “Well, you’re really not in business to make money.” But we are typically working with people that are making money, so we’re just able to legally lower their taxable income. So you’re allowed to take deductions. It’s in the tax code. As long as you take the legal ones, just like Warren Buffett and Donald Trumpton [Phonetic 0:18:04]. Dave: So what do you think about that idea that—I mean is there a point where someone, a spouse is trying out something. And they want to try and make money, but maybe they’re not. I mean, where do you draw that red line? Craig: Well, I would say after two years of losses, you really need to really look at it and say, “Okay. What’s going on here?” So that’s kind of… And obviously, if you have losses and they’re well-documented, that’s okay. What are you doing to produce income? If it’s a duck, it’s a duck. Dave: So what would you say makes a duck then? Craig: Well, makes a duck if you have basic documentation that shows you’re trying to generate business if you are generating business. But at two years, if you’re continuing to show losses and there is no upside on the horizon, I think you need to really consider that. Are you wasting your time? Are you in danger of potentially being considered a hobby? Honestly, we don’t come across that that much because people are looking to make money. Craig: They’re looking to legally write off what they can legally write off, but they need to make money to maintain lifestyles. Dave: Well, what else, Craig? What do you think would be another great deduction that maybe folks aren’t aware of we should be looking for? Craig: Well, I know you’ve talked about on prior shows S corps, LLCs, and stuff like that. Another great deduction now is a late election in LLC that maybe you want to be taxed as an S corp or a C corp. And we’re not sure what changes are on the horizon in 2017, but we are leaving that option open for a lot of our clients and maybe using a late election down the road. So if it turns out a C corp rates are drastically reduced, it may make sense to have your LLC tax as a C corp versus an S corp. So we try to build in as much flexibility as possible. Dave: So tell us more about that. What is a late election? What does that mean? Craig: The IRS says you can go back three years and 75 days as long as you haven’t filed the returns yet and elect to have your corporation or your LLC taxed as a corporation or an S corporation. So typically, when that comes into play is somebody formed an entity, an LLC, maybe last January. And they haven’t made any elections yet. And now, we’re in January of the following year. And it looks like maybe it makes sense to be taxed as a S corporation. We can go ahead and make that election retroactive to their corporate formation date and potentially save them a lot of money. Everybody’s situation is a little bit different, but we like to build as much flexibility. And we’ve done an awful lot of late elections and have had very good results with the IRS. Dave: Interesting. Well, that’s great advice. As we start to, start wrapping up the podcast, Craig, I’d love to run this question by you. A lot of times, our listeners, they have spent their whole lives dedicating towards their medical career, medical school, and residency. And along the way, they kind of lost that business education. And obviously, you deal with a ton of business owners. So I’d love to tap into that for a sec. I’d love to hear from you. What do you think, the best business lesson that you’d like to pass on a physician as this? Craig: The best business lesson is to communicate with the other professionals that you may or may not be surrounding yourself with, such as your attorney, your CPA, your financial advisor. Typically, those people want to help you, but if you’re not communicating with them, they can’t help you. A team approach is always best. Dave: So what do you think that should look like then in terms of that advice? Should that be something where there’s kind of one team member in charge of that or should it be something that the client puts on their calendar to reach out? What do you think that should look like? Craig: Depending on who your advisors are, it will really make a difference with the… You need to be in charge of that or they will be in charge of that. So more often than not, it’s either the CPA or the financial advisor is going to make sure that everybody’s on board and everybody is in communication so when you’ve got to make decisions, they’ve been vetted by the whole team. Dave: So I’d love to know, how do you think that’s been a lesson that you’ve learned? Where does that come into play where that’s been painful? Perhaps a moment that you regretted in the past. Craig: Well, fortunately, it hasn’t been a painful moment for me, but I’ve seen it as a painful moment for a lot of new clients where they’ve done things and they’ve maybe just worked with the attorney. And nobody tried to figure out, “Well, what’s the tax effect in doing this?” And it’s been a… It’s cost them mightily. And we see that quite often. So we tell people, “Let these people share their knowledge. And let’s figure out what’s the best legal way to do it and then how do you make it the best tax way to do it.” And ultimately, the client benefits greatly. Craig: Right. Well, when you say, “Ring up the bell,” like, our clients, when we work with our clients, we’re on a retainer. Okay? And it’s a fixed monthly fee. So there’s no ringing up the bill. We’ve been doing this a long time. Most people aren’t taking advantage of it. And you should be able to call your accountant or you should be able to call your attorney and run something by him. Now, it’s another thing if they have to do research, but if it’s a short call, that shouldn’t be an issue as far as ringing up the bell. Now, I just want to take a step back because there was something that I did want to point out as far as a strategy that may be helpful to some of your listeners. Are you familiar with the gift-leaseback strategy? Craig: Right. But the strategy is typically used when, let’s just say, you have somebody that’s supporting a parent and maybe they’re giving him a couple of thousand dollars a month. So with the gift-leaseback strategy, we gift them a piece of property from maybe the entity. That’s typically fully depreciated. And then you lease it back from them. So ultimately, the money that you were giving them that was not tax deductible becomes tax deductible. Craig: Typically, it’s a parent, because typically, the child just kind of is constantly taking the money, okay, in little pieces whereas when you wind up supporting a parent, it’s usually bigger dollars all at once. And that’s a strategy we’ve used. And it’s a totally legal strategy. Dave: …that you can gift. $5 million. Oh, that’s right. Estate tax. $5 million. So up to $5 million, you can give as a lifetime gift. Correct? So you have to fill out some special forms and whatnot to do that. Craig: Right. But to that doctor that’s been supporting his parents for $3,000 a month, now, at the end of the year, he winds up with a $36,000 deduction that he did not have. And somebody in the 40 percent bracket, that’s a lot of money. Craig: Right. And you’re turning something that is non-deductible into something that is deductible. And obviously, you have to do it the right way. Dave: Cool. I love it. That’s great. Well, I mentioned in the intro that you have a book. I’d love to hear about the book, my friend. And let us know all about it. Craig: Well, my first book was Secrets of a Tax Free Life. That one I coauthored. It was an Amazon bestseller. That came out about three years ago. Most recently, I also coauthored 10 Most Expensive Tax Mistakes That Cost Business Owners Thousands. And you will have a link in your show notes, to anybody that would like a free copy of that. The link will take them to our page, our website, and they can request a copy, and we’ll mail it out. Dave: Well, wonderful. Thank you so much for making that avail—but I’d love to hear besides your resources, which we’ll link in the show notes, I’d love to know, well, what are some other good resources, whether they’re books or blogs that—or courses that aren’t your own that you think you would recommend to physicians to grab ahold of? Craig: I mean, there’s so much information out there. And I think you can go online and you can find plenty of different things to read. The problem with that—and knowledge is power, but sometimes, you don’t have all the pieces. And if you try and do something and maybe you’re missing a little piece, it could be—not work out the way you want. So I think go out there, read, and then work with a professional that is willing to listen to what you have to say and is willing to work outside the box and be proactive. Dave: Perfect. That’s great. Well, there’s so much that we could cover on this subject. There’s huge volumes of books written on this stuff. Any closing thoughts, Craig, that you want to make doctors aware of out there? Craig: Just I think it’s important to be proactive. It’s important to communicate with your tax professional. And it’s important to, for your future, really to keep more of what you make legally. Dave: Great thoughts. Great thoughts. Well, thank you so much for being with us, Craig. And people have more questions, how can they get in contact with you? Craig: They can—our office, they can reach us at 5168694051. Our website is craigcodyandcompany.com. There will be a link on your website. And email is craig@ccodycpa.com. Dave: And Cody is spelled C-O-D-Y. Correct? Dave: Okay. Wonderful. Well, again, thank you for being with us, Craig. And my friends, if you are a physician, if you’re someone else servicing physicians and you want to tell your story, if you have other resources to recommend, I would love to share it in the next Freedom Formula for Physicians Podcast. So make sure to contact me, dave@doctorfreedompodcast.com or on my website, www.doctorfreedompodcast.com. For the Freedom Formula for Physicians Podcast, this is Dave Denniston. Thank you so much for joining us. Make sure you subscribe on iTunes. And also, I have a big favor to ask. If you got tremendous value from this podcast, I would like to ask you a favor. Could you do—just a quick minute, could you do a review on iTunes? Because it really helps the show, and it would mean a lot to me personally. So remember, my friends, make sure to cut your debt, slash your taxes so that you too can live a liberated lifestyle. This is Dave Denniston. Talk to you next time.